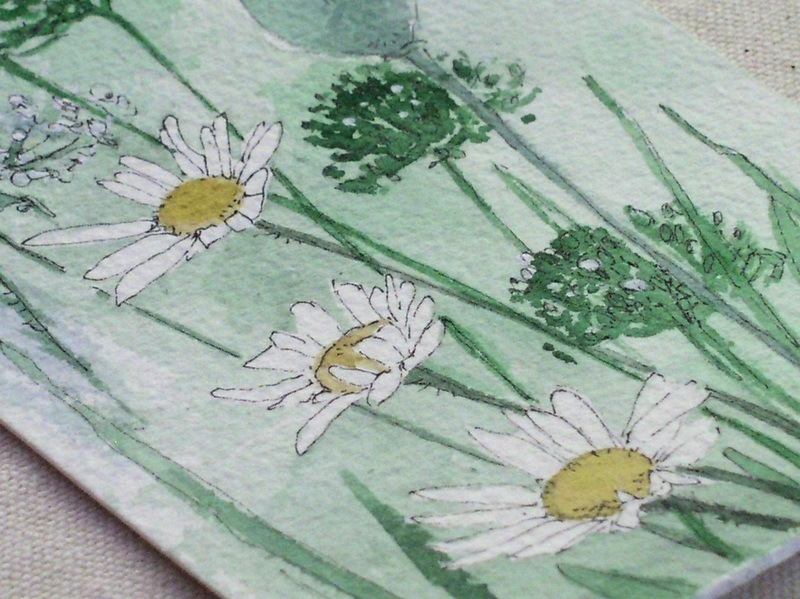 Nature Art Woodland Daisies Botanical Flowers Watercolor Original Painting Affordable Artwork. 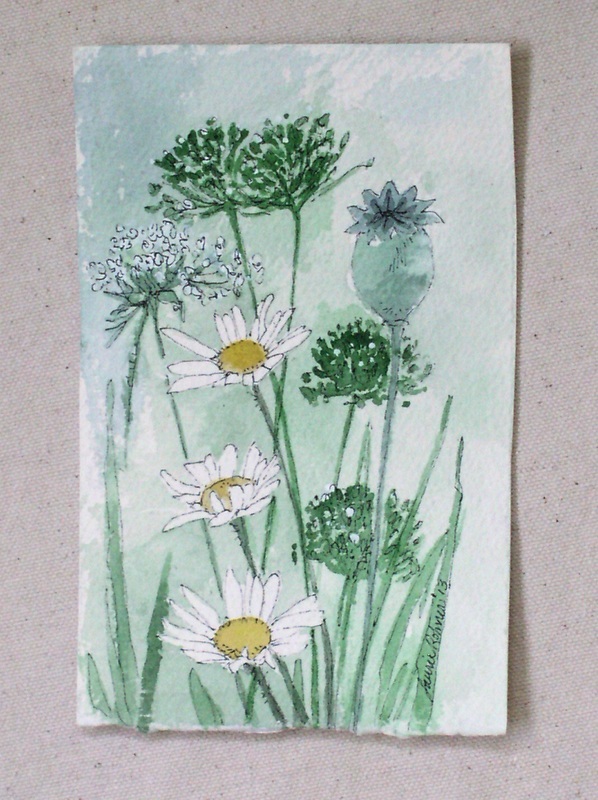 SOLD Garden Watercolor Nature Art an illustrated natural history daisies and herbs is original botanical watercolor painting, title Woodland Daisies and Herbs of garden wildflowers. This is an illustration and original art of Laurie Rohner. 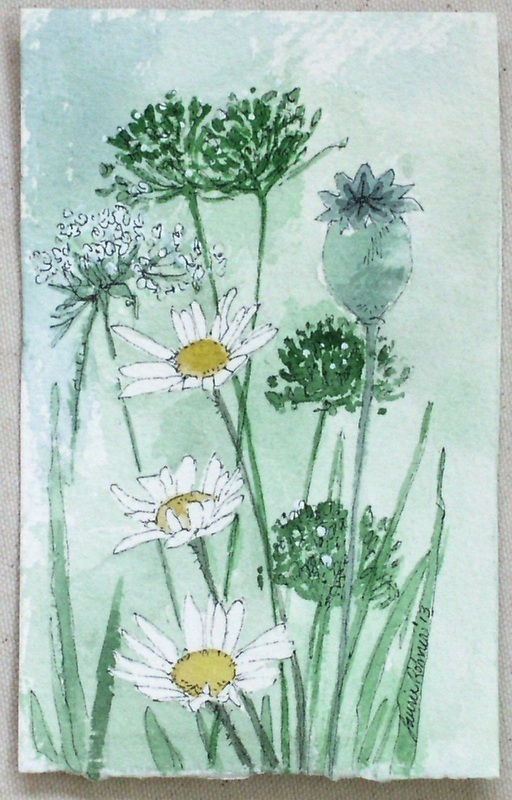 This botanical watercolor of woodland wildflowers herbs and daisies is painted with shades of blues white and greens. This watercolor depicts some of the pretty blooms I find in the garden and countryside as I buzz down the dirt road lanes. Maybe you have some growing in your own gardens? Buy art, original watercolor nature art, inspired by gardens and nature, use as wall art. Original art for sale online here at Between The Weeds at Etsy. You will love my individually hand-painted art work. Great for gift giving. Can be framed later. Paper size is 4" x 6"